This article is about the geographic region. For the NSW state electoral district, see Electoral district of North Shore. The Sydney Harbour Bridge connecting the North Shore to the Sydney CBD. The North Sydney skyline is visible in the background. The North Shore is the primarily residential area of northern metropolitan Sydney, in New South Wales, Australia. The term generally refers to the suburbs located on the north shore of Sydney Harbour up to and including Hornsby and between Middle Harbour and the Lane Cove National Park. Before British settlement, the Lower North Shore was home to the Gorualgal (Mosman and southern Willoughby) and Cammeraygal (North Sydney and Eastern Lane Cove). After the establishment of Sydney in 1788, settlement of the North Shore of the harbour was quite limited. One of the first settlers was James Milson who lived in the vicinity of Jeffrey Street in Kirribilli, directly opposite Sydney Cove. The north shore was more rugged than the southern shore and western areas of the harbour and had limited agricultural potential. The early activities in the area included tree felling, boatbuilding and some orchard farming in the limited areas of good soil. The North Shore railway line was built in the 1890s. Access to the Sydney CBD, located on the southern shore of the harbour remained difficult until the completion of the Sydney Harbour Bridge in 1932. This led to commencement the development of suburbs on the North Shore. Cumberland County mapping from 1792 to 1894 indicate that the four local governments that stand today were derived from one: the Parish of Willoughby. From the Parish of Willoughby came the City of Willoughby and the municipalities of Mosman, Lane Cove and North Sydney. North Sydney was formerly known as St. Leonards. Most of the North Shore suburbs are part of the Hawkesbury Plateau, a large sandstone plateau overlaid by a system of ridges and gullies. The Plateau begins north of the Port Jackson and runs up until the Hawkesbury River. Thus much of the North Shore is hilly with many steep valleys running down into the harbour and the rivers on either side. These ridges and valleys were originally populated with dry sclerophyll forest, much of which still remains. There are many small parks and areas of the sclerophyll forest adjacent to and within residential areas, earning the area the nickname "the leafy North Shore". The Lane Cove National Park and the Garigal National Park include many areas of remnant bushland adjacent to the Lane Cove River and Middle Harbour. There is excellent bushwalking, abseiling and bouldering around Lindfield and North Turramurra. Gordon houses one of Sydney's largest bat colonies in a bat reserve leading to Middle Harbour. The "Upper North Shore" usually refers to the suburbs between Roseville and Mount Colah , north-west of the Sydney CBD. It is made up of the handful of suburbs located within the Ku-ring-gai and Hornsby Shire councils. The area underwent significant changes with increased urban density along the railway and vegetation clearing since the introduction of the state governments 10/50 tree clearing legislation. Ku-ring-gai was rated as having the number one quality of life in Australia (there are 590 Australian Local Government Areas) in the BankWest Quality of Life Index 2008. In 2015, the NSW government proposed merging the two north shore councils (Ku-ring-gai, and Hornsby councils) to form a new council with the proposed name of the "North Shore Council". In July 2017, the Berejiklian government decided to abandon the forced merger of the Hornsby and Ku-ring-gai local government areas, along with several other proposed forced mergers on the North Shore. The Lower North Shore refers to the Sydney Harbour Peninsula that is located on the north side of the Sydney Harbour Bridge. The three bodies of water that surround the Lower North Shore are Lane Cove River on its western border, Sydney harbour on its south side, and Middle Harbour on its east. The Lower North Shore borders the Upper North Shore when the Lane Cover River and Middle Harbour are at their closest. 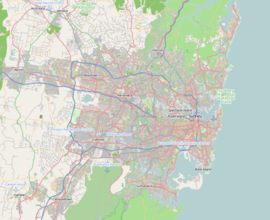 Lower North Shore encompasses suburbs belonging to the local government areas of Mosman Council, City of Willoughby, Municipality of Lane Cove, and North Sydney Council. The suburbs of the Municipality of Hunter's Hill are sometimes considered to part of the Lower North Shore. In 2016, the NSW government proposed merging the three of the four lower north shore councils (Mosman, Willoughby, and North Sydney councils) to form a new council with the proposed name of the "City of the Lower North Shore", and proposed that the Municipality of Lane Cove would be kept separate but surrounded by the City of the Lower North Shore under a different council. In July 2017, the Berejiklian government decided to abandon the forced merger of the North Sydney, Willoughby and Mosman local government areas, along with several other proposed forced mergers including the Ku-ring-gai Council and Hornsby Shire on the Upper North Shore. The region is home to hundreds of parks and reserves, including Sydney Harbour National Park and the Lane Cove National Park. Local sportsgrounds include North Sydney Oval, the region's largest in capacity, followed by Chatswood Oval and Christie Park. Major waterways in the region include Port Jackson, the Lane Cove River, the Parramatta River, Middle Harbour and the many creek systems that branch out from these main aquatic lifelines. The main transport routes on the North Shore are Military Road, the Pacific Highway, the Warringah Expressway as well as parts of the Pennant Hills Road, Ryde Road and Mona Vale Road. Smaller but major arterial roads on the Upper North Shore include the Eastern Arterial Road at St Ives, East Killara and East Lindfield, the Comenarra Parkway at Thornleigh, Wahroonga, Turramurra, South Turramurra and West Pymble, as well as Lady Game Drive at West Pymble, Gordon, Killara and Lindfield, providing access to major commercial hubs such as Chatswood. The North Shore, Northern & Western Line provides access to the central business district of Sydney over the Sydney Harbour Bridge. Many bus routes also serve the area, particularly the lower North Shore, and ferries connect many of the harbourside suburbs with Circular Quay in the central business district. The railway stations within the T1 North Shore line in order from Chatswood north to Hornsby are: Chatswood, Roseville, Lindfield, Killara, Gordon, Pymble, Turramurra, Warrawee, Wahroonga, Waitara and Hornsby. The railway stations within the Lower North Shore area in order from Milsons Point north to Chatswood are: Milsons Point, North Sydney, Waverton, Wollstonecraft, St Leonards, Artarmon & Chatswood. Not all the railway stations on the Upper and Lower North Shore have wheelchair/pram access to allow easy access to the platform (such as ramps or lifts). Stations on the North Shore without this access are: Roseville, Killara, Pymble, Warrawee, Wahroonga and Waitara. While Wollstonecraft does have a gradual declining path it's advisable for wheelchair users to call the station because the gap to the train often needs another ramp to allow access to the train. The Sydney Metro which will run through Chatswood and Crows Nest will become another main route of transport in the coming years linking the North West and South West of Sydney through Sydney City. The Sydney Metro Northwest is currently under construction with a projected 2019 opening, replacing the previous Epping to Chatswood railway line after almost 10 years of service. The new metro line will provide rapid transit to North West Sydney from the North Shore. Transdev NSW provide frequent bus services to the Upper North Shore.. Busses on the Lower North Shore are mainly serviced by the State Transit Authority. Significant commercial and retail centres on the North Shore include North Sydney, Crows Nest, Chatswood, St Leonards, Neutral Bay, Gordon and Hornsby. The North Shore has two large commercial centres located at North Sydney and Chatswood, with many international companies having their Australian or Asia–Pacific Headquarters in this part of Sydney. The region's largest central business district at North Sydney is home to a modern urban skyline of skyscrapers. Although North Sydney has none of Sydney's major shopping centres it is home to scores of speciality stores and cafés. Chatswood is one of the largest retail areas. It is home to large shopping centres such as Westfield Chatswood, Chatswood Chase and apartment towers such as The Sebel. St Leonards is another large commercial area featuring mostly office space and apartments. Westfield Hornsby is also a major shopping centre. The Lower North Shore has many unique landmarks such as: The Sydney Harbour Bridge, Taronga Zoo in Mosman, Admiralty House (Sydney residence of the Governor-General of Australia), Kirribilli House (Sydney residence of the Prime Minister of Australia), Luna Park, and Balmoral Beach. At a Sydney or local level, however, landmarks are more plentiful and include: The Lane Cove Azalea Beds, Blues Point Tower, Eden Gardens, the Balmoral Rotunda, the Stanton Library in North Sydney, Lane Cove Plaza, Zenith Towers at Chatswood, Northpoint Tower in North Sydney, Cammeray suspension bridge at Cammeray, Echo Point Park in Roseville Chase, the Royal North Shore Hospital, the Hornsby Water Clock, the 'Forum' in St Leonards and North Sydney Oval. Landmark churches in the area include St Mary's in North Sydney, Christ Church in Lavender Bay, the Gladesville-Macquarie Chapel and St Paul's in Chatswood. The Lower North Shore's other main festivals/events include: Tartan Day at Lane Cove, the Guringgai Festival honouring northern Sydney's Aboriginals, the Moocooboola Festival at Hunters Hill, the Mosman Festival, Lane Cove's Cammeraygal Festival, Chinese New Year at Chatswood. Mosman, North Sydney, Willoughby also holds an annual art prize. All local government areas in the region and around the country celebrate Australia Day, which is on 26 January. The local newspapers are the Sydney Observer, Hornsby and Upper North Shore Advocate, The North Shore Times, The Mosman Daily and the North Shores' local lifestyle publication Northside. North Shore has a temperate oceanic climate (Köppen climate classification: Cfb). Turramurra receives one of the highest rainfalls in the Sydney area, with an average of 1,400 millimetres (55 in) per year. The inland parts of the North Shore are somewhat cooler than other areas of the surrounding Sydney basin in the winter months, particularly the CBD, and the further inland the area (particularly the Upper North Shore), the cooler the weather. A historic home turned function centre in the suburb of Lane Cove. Wikivoyage has a travel guide for Lower North Shore. Wikivoyage has a travel guide for Upper North Shore. ^ Blumer, Clare; Chettle, Nicole (27 July 2017). "NSW council amalgamations: Mayors fight to claw back court dollars after backflip on merger". ABC News. Australia. Retrieved 27 July 2017. ^ Ku-ring-gai Historical Society. "Turramurra". Ku-ring-gai Historical Society. This page was last edited on 18 April 2019, at 07:12 (UTC).